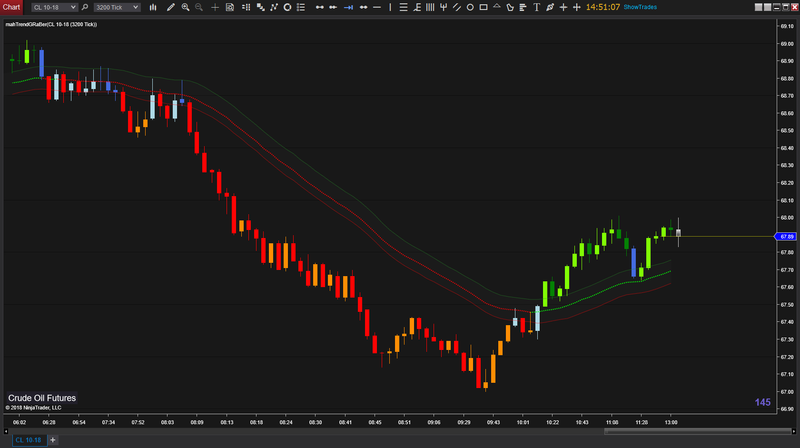 I originally wrote this indicator for NT7 and published it free in October 2011 on Futures.IO. Later, pirated by a 3rd party Vendor and sold in a package. Not good for "Free" spirits. This indicator is based on a chart setup used by Raghee Horner for trading currency pairs but it can be applied to any instrument. So, credit is given to Raghee for intoducing this setup. Although this indicator is very simple, it is very powerful when used correctly. The indicator is a trend following setup that will keep one out of choppy markets and on the right side of the trend. It is helpful to watch one of Raghee's seminars on IBFX (if still available) to understand how this indicator is applied.